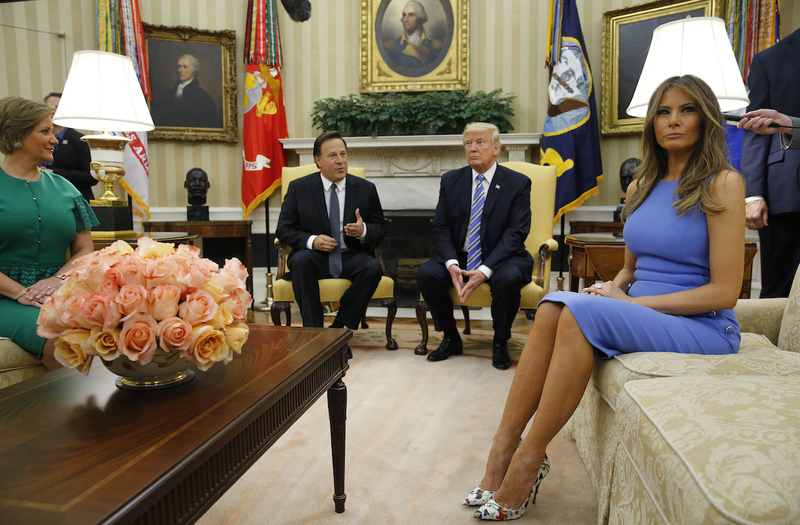 Melania Trump’s fashion choice once again caught everyone’s attention Monday when she and her President Trump welcomed the President of Panama to the White House. 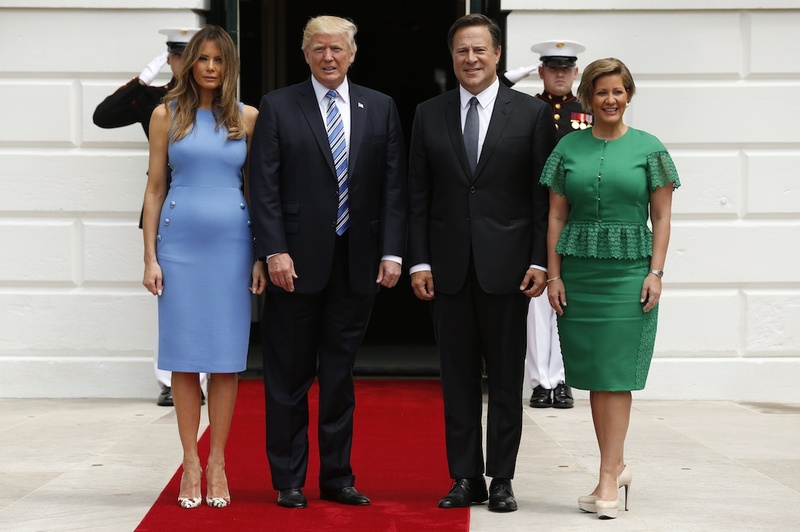 POTUS and FLOTUS welcomed President Juan Carlos Varela and Mrs. Varela at the South Portico of the White House Monday morning, and the dress the first lady was wearing was simply breathtaking. 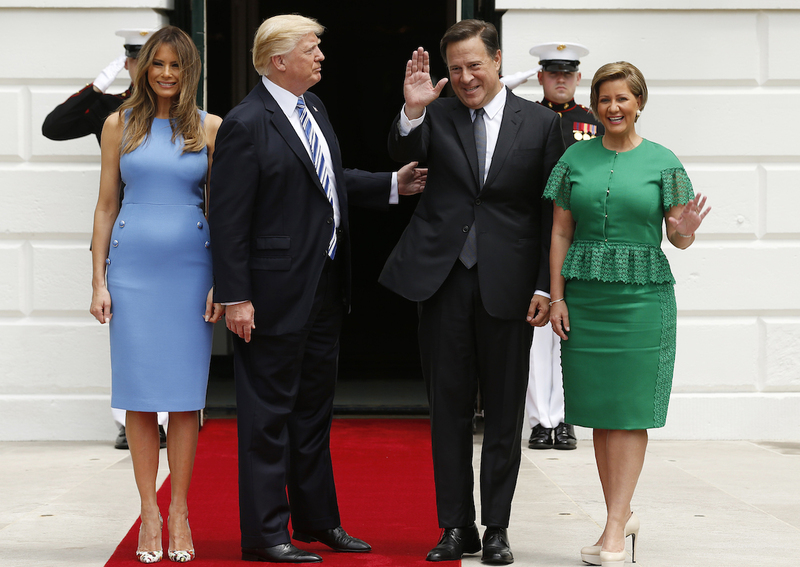 Melania was dressed in a form-fitting, off-the-shoulder, Carolina blue dress that came down just to her knees. Mrs. Varela wore a green dress of similar length for the occasion. 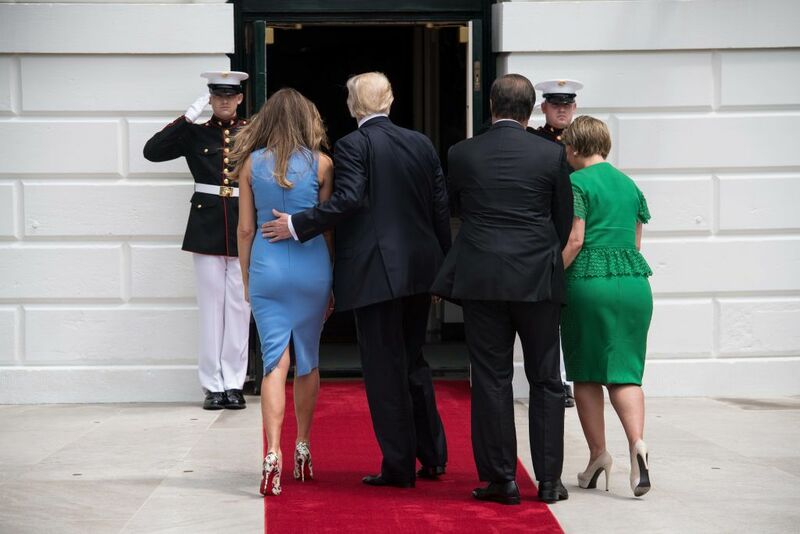 The president and the first lady posed for a few photos outside with their guests before going inside and visiting in the Oval Office. The first lady officially moved into the White House just last week. She and Barron Trump had stayed in New York City so that he could finish the school year before moving to Washington. 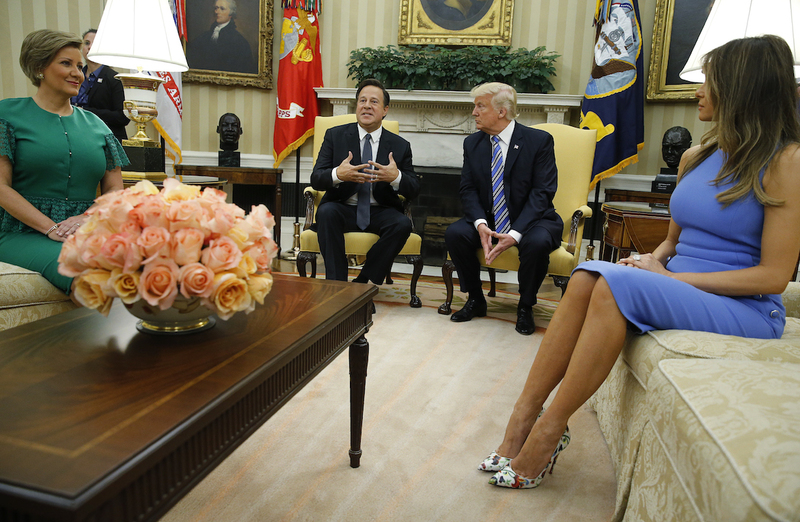 Melania seems to to be adjusting to her full-time role as first lady with ease.